Several years before the ARPANET was created, Paul Baran had two ideas that became very important in the development of the ARPANET. The first was the idea of building a distributed network. The second was a technique for data transmission that later came to be called packet switching. Paul Baran was born in Poland in 1926. In 1928, his family moved to the United States-first in Boston then in Philadelphia where his father owned a small grocery store. As a child, Baran delivered groceries for his father in his little red wagon. When he graduated from high school he attended Drexel University where he earned a degree in electrical engineering. When he left Drexel, Baran took a job as a technician at the Eckert-Mauchly Computer Corporation. Soon after he married and moved with his wife to Los Angeles where he got a job at the Hughes Aircraft Company. He began taking night classes at UCLA and earned a master's degree in engineering in 1959. In that same year he left Hughes Aircraft and went to the computer science department in the mathematics division of the RAND Corporation, a nonprofit research and development organization funded mostly by government grants. At that time the RAND Corporation focused mostly on Cold War-related military problems. "Both the US and USSR were building hair-trigger nuclear ballistic missile systems. If the strategic weapons command and control systems could be more survivable, then the country's retaliatory capability could better allow it to withstand an attack and still function; a more stable position. But this was not a wholly feasible concept, because long-distance communication networks at that time were extremely vulnerable and not able to survive attack. That was the issue. Here a most dangerous situation was created by the lack of a survivable communication system." (Baran in Abbate, 10). The idea was that the U.S. had to be able to survive a first strike from the Soviet Union and still be able to launch a counter-attack. If the U.S. did not have the capability to survive a first strike then the Soviet Union might be tempted to make that first strike. Furthermore, U.S. leaders worried about a Soviet first strike might be tempted to launch a preemptive strike of their own. Despite the naysayers, Baran continued his line of thought. He began writing a series of technical papers to answer criticisms of his ideas and further develop his thoughts. He had discussions with Warren McCulloch, a well-known psychiatrist at MIT's Research Laboratory of Electronics. They discussed the brain and how it can sometimes recover lost functions by bypassing a dysfunctional region. The brain does not rely on a single set of dedicated cells for a given function. Baran thought that perhaps a communication network could be constructed in a similar way. At that time there were two basic models for building communication networks: centralized and decentralized. In a centralized network all nodes are connected directly and only to a centralized hub or switch. All data is sent from an individual node to the center and then routed to its destination. If the center is destroyed or not functioning all communication is effectively cut off. If the route between a node and the center is destroyed or not functioning, that node is effectively cut off. A decentralized network uses several centralized hubs. It is almost like several small centralized networks joined together. Each individual node is still dependent upon the proper functioning of its hub and the route to it. Baran suggested a third alternativea distributed network"a communication network which will allow several hundred major communications stations to talk with one another after an enemy attack. " (Baran, Rand Memorandum 3420-PR, CH.1) A distributed network would have no centralized switch. Each node would be connected to several of its neighboring nodes in a sort of lattice-like configuration. Therefore, each node would have several possible routes to send data. If one route or neighboring node was destroyed, another path would be available. Baran's other ground-breaking idea was to divide messages into "message blocks" before sending them out across the network. Each block would be sent separately and rejoined into a whole when they were received at their destination. A British man named Donald Davies independently devised a very similar system, but he called the message blocks "packets," a term that was eventually adopted instead of Baran's message blocks. Packets allowed for a very efficient way to transmit data. Data communications are by nature very "bursty." Information is sent in bursts, not continuously. Traditional communications networks employed dedicated lines. Telephone networks provide a good example. When a call is made a line is dedicated to that call. No other use can be made of that line while the call is in progress. If there is a pause in the conversation, no data is being transmitted, but the line is still in use and unavailable. This represents a waste in capacity (bandwidth). Baran envisioned a network of unmanned nodes that would act as switches routing packets from one node to another to their final destinations. The nodes would use a scheme he called "hot potato routing." (Baran, Rand Memorandum 3103-PR, Ch.2) This method is a rapid store-and-forward design. When a node receives a packet it stores it, determines the best route to its destination, and sends it to the next node on that path. By using digital computers as the nodes this could be done very quickly allowing for essentially real-time transmission. The computers could use constantly updated statistics about the network and each of its nodes to determine the best routes at any given time. If there was a problem with a node (or if it had been destroyed) packets would simply be routed around it. This method of using continuously updated network information for routing is also known as "dynamic routing." Several years later, when Larry Roberts was beginning work on the ARPANET he heard of Baran's ideas. Roberts was not designing a network for use in wartime, but rather to facilitate communications between ARPA researchers and allow them to use remote computing resources effectively, but Baran's ideas for a robust network were appealing to Roberts. 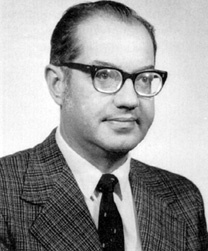 Baran's distributed network and packet-switching schemes were adopted, and Baran became an informal consultant for the ARPANET project.